Take that whiskey bottle off the floor and stub out that cigarette on your arm - welcome to the love poetry of Mary Stone Dockery, winner of the Langston Hughes Creative Writing Award in Poetry. 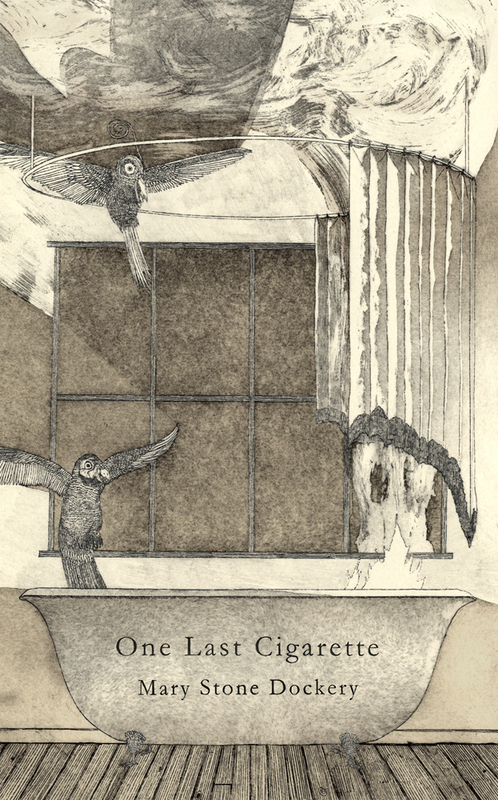 One Last Cigarette, Dockery's second collection, is a bruising encounter with husbands, lovers and family, bodies and permanence. This is poetry with an edge; tender, harsh and bone-crafted words sifted through and pumped out of a nicotine heart, addict words, bleeding. disappear. If only to see the room whole. on doorknobs. Other words for fly. your sail slackens in the light? of radiation, and have been warmed. and appear only in mirrors. 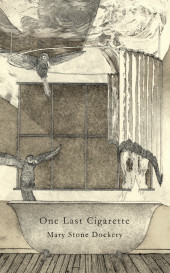 This book is tagged with: love poetry, mary stone dockery, one last cigarette. This entry was posted on Friday, April 12th, 2013 at 5:59 pm and is filed under Our Books, Poetry. You can follow any responses to this entry through the RSS 2.0 feed. You can skip to the end and leave a response. Pinging is currently not allowed.